It took me 2 days to readjust to the chaos that is Manila. What Filipinos call simply as Manila actually consist of 16 cities and 1 municipally (including the real Manila) spanning an area of 636 sq km and containing 12 million people (officially, but more like 20 million in reality). Having been away for 1 1/2 years living in aseptic, predictable Zurich, I had forgotten about the murderous bus drivers, the traffic jams, the smoke-belching jeepneys, the poverty, and the sea of people everywhere you go. After 2 days though, I was back in my element, my natural habitat. I was a local again. It felt like I never left. Manila is the antithesis of Zurich. Zurich is the perfect city, rated as having highest quality of life on earth and Manila is what would happen if EVERYTHING goes wrong. Chaos everywhere! It is not for everyone. Not everyone can understand or appreciate this city. It is not charming, it is not beautiful, and it doesn't fill you with romance. What makes Manila exceptional is how it goes on despite the chaos. That somehow, one way or another, things work, move and run. There is some sort of mind-bongling order in the urban, montrous jungle that is Manila. I don't think one should attempt to visit Manila like how one would visit Paris, Rome or London. Museums do exist but the main exhibition is the life on the streets. You won't find much culture hanging on the walls or built into buildings, but if you close your eyes to the ugly buildings you would admit there must be something really special in the genuine smiles of the people and how they keep their smile living this montrous metropolis. Manila is full of contradictions. On one side there are places like the "Mall of Asia", 3rd largest mall in the world (in terms of leased area), where you can find very expensive things, on the other side there are the slums, congested areas of poverty and filth. Manila is a lesson in reality and possibilities that a city like Zurich will never be able to teach. There are things happening in Manila that someone living in Zurich will never have imagined in his greatest nightmare. 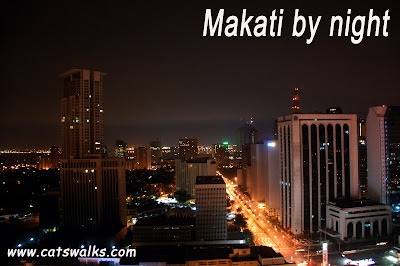 For me, there is no other city like Manila. I love Manila!